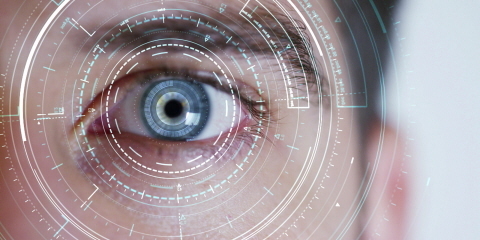 How eye tracking is helping businesses adapt to the 4th Industrial Revolution. As industries worldwide power towards the 4th Industrial Revolution many are left scrambling to keep up with its demands and the increasing pressure to retrain and upskill workers while still maintaining quality and productivity. With the entire economy of many nations underpinned by manufacturing, inaction is not an option - adapt or perish. Understanding how workers perform tasks and interact with their work environment is essential to providing effective instructions and training as millions of workers worldwide see their entire roles rewritten. Underhållsmässan, Europe’s premier maintenance trade fair and conference, brings together some of the main players in manufacturing. In 2018 Tobii Pro and DynaMate, a LEAN business consultancy, have partnered to explore how eye tracking can be used as a key tool in streamlining processes and identifying waste. Tobii Pro Insight research expert Martin Arvidsson, PhD, is making a presentation at the show together with DynaMate titled: “LEAN and eye tracking: How to succeed in Industry 4.0.” We sat down with Martin to get his take on how eye tracking can help bridge the skills gap and improve processes within a range of sectors. Industry 4.0 is really an overhaul of how manufacturing is carried out. We see more and more tasks becoming automated, an increase in online interaction with the process and an overall shift towards cyber physical systems. It’s not just one new piece of equipment, it’s a fundamental realignment in the way companies do business, and while it paves the way for enormous progress, it also has inherent problems. What are some of the challenges businesses face adapting to Industry 4.0? A lot of Industry 4.0 centers around the increasing prevalence of smart factories, the IoT, and machines thinking for you, but we still need people in the industry to oversee this, and they must adapt to the new technology and the higher demands of their jobs. For example, many people who have had a position requiring a lot of manual labor on the factory floor are now being asked to learn how to program and maintain machines which carry out tasks they used to perform, there is a knowledge gap which needs to be filled and it’s not just a few staff, it’s across almost an entire workforce to varying degrees. Because the technology is so new and is also constantly being updated, the knowledge and training requirements are huge, and unlike traditional manufacturing jobs, there isn’t a large pool of experienced employees to draw on for expertise and training. How can these challenges be helped with eye tracking? Well, eye tracking has several applications in this shift towards Industry 4.0. It can be used to help with skills transfer and training, it can be used to streamline processes and identify waste or roadblocks in a system, and it can also be used to improve safety and increase situational awareness. 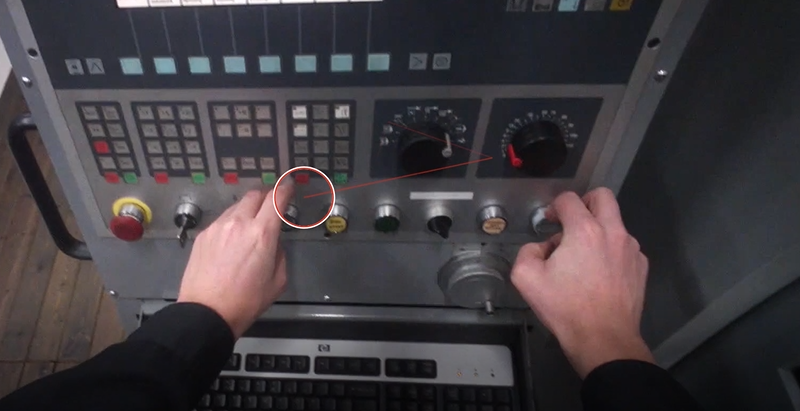 Eye tracking allows you to see roles and tasks from the perspective of the worker. It gives clear and accurate data on where they are looking and how they perform tasks, and this information reveals a lot about subconscious processes and behaviors which workers may be unaware of or unable to articulate. How can eye tracking be used to improve skills training and efficiency? In this situation you would use eye tracking glasses which allow the worker to go about their tasks naturally. They have a built-in scene camera which records their environment and also their gaze so you can view it live, replay it, or export it later for statistical analysis. With skills for example, if you have someone who has been doing their job for a long time they will likely be quite fast and effective at it, they will have made innovations to the process which optimize it. Eye tracking can reveal this insight which can then be used to train other staff, giving them these skills faster than if they had to learn them themselves. You could use the eye tracking videos in training material, or use the knowledge gained to improve instruction manuals or the placement of equipment. On the flip side of this, sometimes workers will innovate in a negative way, which could be due to environmental factors within the process or other causes and eye tracking will also reveal these issues, making it possible to fix the environment or improve the work method and instructions. When looking at behavior in this way you can identify roadblocks which delay processes or degrade quality. It’s also possible to identify wasted steps, which can save time and money. Major car manufacturers are using this method to examine how their top inspectors perform certain roles, and then apply those insights to the training of new recruits. It dramatically improves workflow standardization and allows for the identification of best practices. Another customer of ours who operates a packaging facility has used eye tracking to reveal areas which are commonly not checked by staff during line clearing procedures, and with this knowledge they’ve been able to put new systems in place to fix the issue. 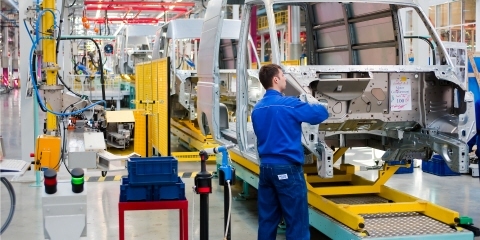 How can eye tracking improve safety within the manufacturing sector? It allows you to see where workers focus their attention and reveals cognitive load, in this way you can become aware of recurrent distractions during a task, and identify behavioral patterns which occur frequently before an accident. You can also uncover blind spots which prevent hazards being spotted. One of the main causes of workplace accidents is human error and a person’s level of situational awareness is a major factor in the likelihood of accidents. You can also identify knowledge gaps in junior staff which may make them more prone to mistakes, or even complacency in more experienced staff which make them more prone to hazardous situations. How do you get started with an eye tracking study in your business? 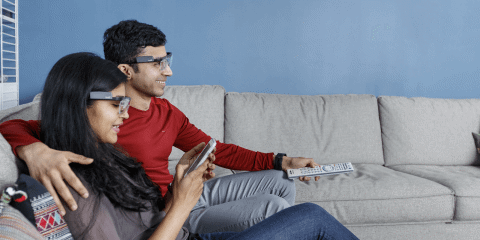 While eye tracking glasses make it easy to collect data, it’s vital that the study is set up correctly from the beginning to make sure you get the answers you are looking for. As a research consultant for Tobii Pro Insight, we often guide a business through their first study and introduce them to the eye tracking technology, so they can perform further studies across their business, however we also conduct full scale studies for companies, spanning across several areas of their operations. An important first step is identifying what processes you want to examine and what you hope to achieve from that study. Visit the Technology Stage at Underhållsmässan to listen to Martin Arvidsson’s talk together with Peter Björnholm, DynaMate.